So get a bunch of chocolate eggs and take off the wrapper. 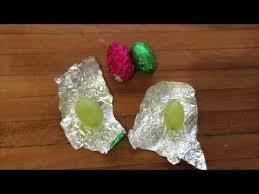 Wrap the wrapper around a grape. This will totally confuse your friends. If there's a good prank to do this is it!